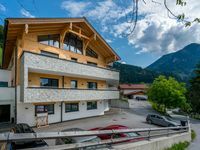 Properties in Fellersbach Ski Lift average 4.5 out of 5 stars. A spacious, well kept holiday home on the second floor. Property 1: A spacious, well kept holiday home on the second floor. Appartmenthaus Hochkönig Top 6 - 8 p.
Property 9: Appartmenthaus Hochkönig Top 6 - 8 p.
Nice apartment in Alpendorf in the ski area Snow Space with Flachau, Wagrain, ..
Property 18: Nice apartment in Alpendorf in the ski area Snow Space with Flachau, Wagrain, ..
Surpisingly modern appartment on a traditional hillside working farm. Property 25: Surpisingly modern appartment on a traditional hillside working farm. Spacious home with 5 bedrooms in charming Goldegg. Property 36: Spacious home with 5 bedrooms in charming Goldegg. 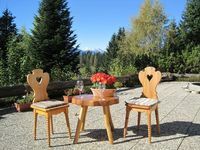 Cosy holiday home in the beautiful Maria Alm, directly by the piste. Property 43: Cosy holiday home in the beautiful Maria Alm, directly by the piste. Exceeded our expectations and really good value. The wonderful house, fully equipped, in a quiet location. We loved it and will try to come back somehow.